Refer a Friend and Save Big. Do you know someone who would enjoy shopping at Arthur’s Jewelers? We would love to meet them! Recommend a friend to Arthur’s Jewelers and save money on your next purchase. We know that the most effective form of advertising is word of mouth, so use our referral program and both you and your friend can save up to $100! Upon receiving your referral, we will send a unique code to their email address. If they use the code to make their initial purchase with Arthur’s Jewelers, you will receive a coupon for your next order. - A first name, last name, and email address are required for both you and the person you are referring. - You may not send a referral to yourself. - The person you refer must be a new customer, and they must use the unique code we send them when they make their purchase. - If the code is not used at time of purchase, it cannot be applied retroactively. - Only one code redemption is allowed per household. 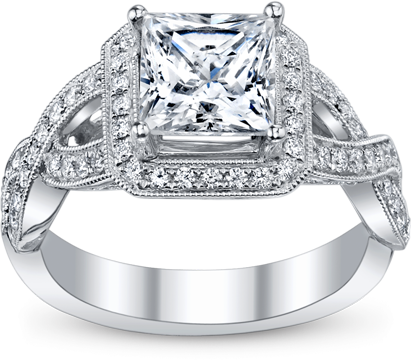 - This offer cannot be combined with any other Arthur’s Jewelers offers, promotions, or sales. - All personal reference codes and their subsequent savings expire 30 days after the date of issue.